Weeknights are all about easy. But that doesn’t mean less tasty. Sometimes shortcuts are needed, but as long as you use good quality ingredients and a little creativity, a very satisfying meal will be within reach. I try to keep organic, “out of the box” raviolis in the freezer. Butternut squash, fig & prosciutto, crab …. there is a lot more to ravioli than just cheese. I’ve purchased these delicious pillows of pasta from a local vendor at our Green Market, but I’ve also found just as delicious ravioli at Costco. This particular recipe is from a Costco product, Kale & White Bean Ravioli. 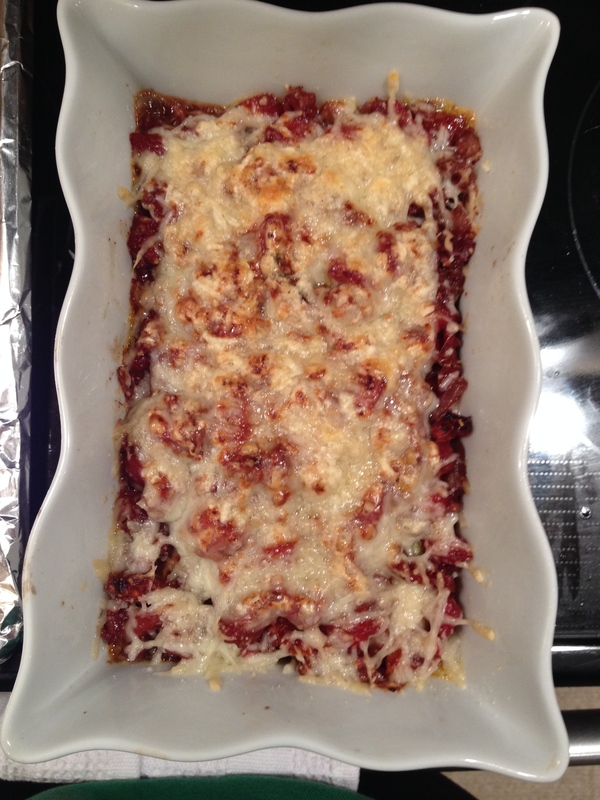 To compliment the flavors, I made a sweet and spicy sauce … and a little cheese always makes an Italian meal complete. Preheat your oven to 375 degrees. In a large saucepan, sauté the onions in olive oil on medium heat until they start to turn translucent, about 8 minutes. 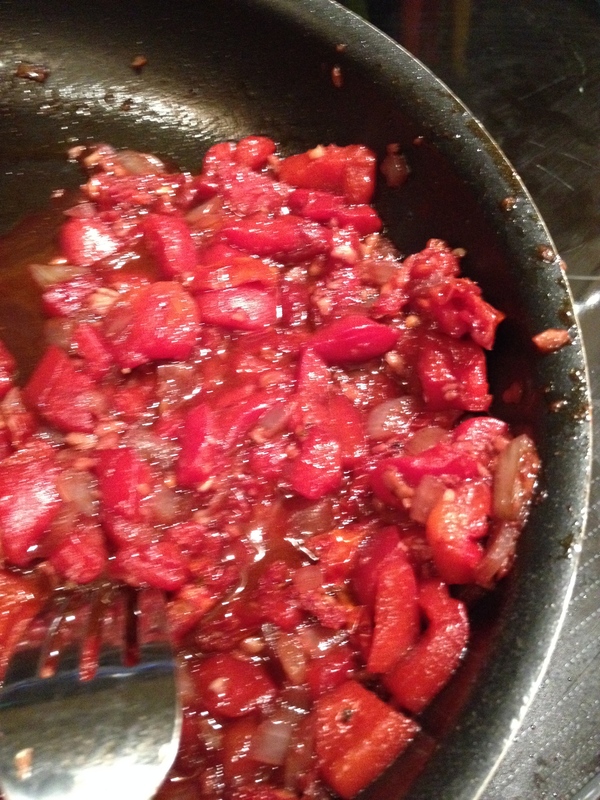 Add the fire roasted tomatoes, diced red peppers, garlic, sundried tomatoes, red wine and red pepper flakes. Let the mixture simmer on a low-medium heat for about 15 minutes, allowing the flavors to blend. In the meantime, heat up a pot of water to a boil. Add the ravioli and cook as instructed on the package. Drain and set aside. 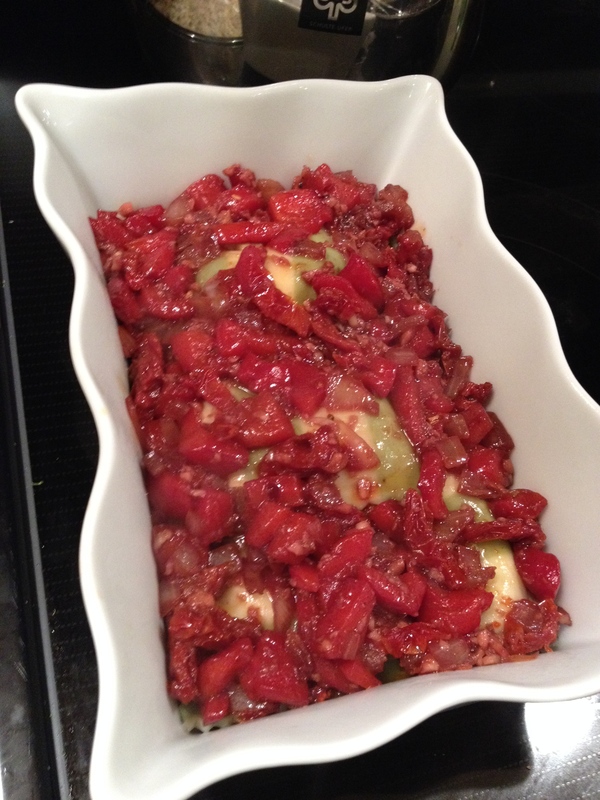 When the sauce has cooked enough to soak up most of the wine, put a small amount in the baking casserole dish, enough to cover the bottom. Lay a single layer of the ravioli over the sauce. Then ladle more sauce on top of the ravioli. Next, add the provolone cheese over the ravioli. Repeat the steps of laying the ravioli and sauce until all the raviolis have been added to the casserole dish. 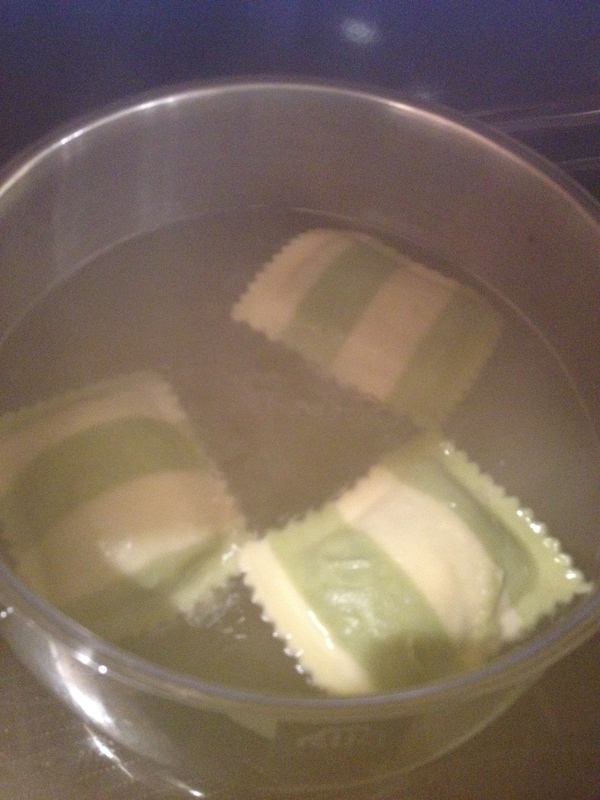 Be sure to leave enough sauce to cover the top of the raviolis. Cover with fresh shaved parmesan cheese. 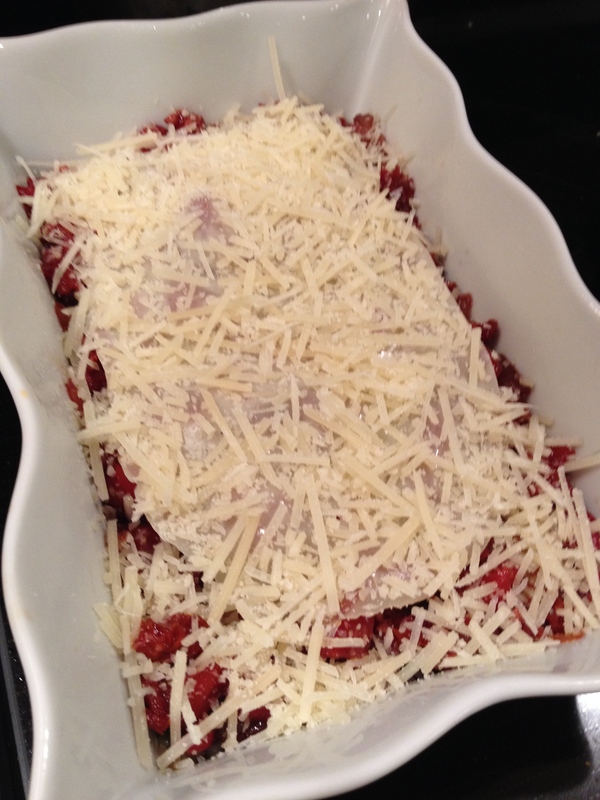 Bake the casserole dish, uncovered, for about 10 minutes or until the cheese is melted and starts to brown. You can always give it a quick blast at the end in the broiler, but keep an eye on it!